If you've already upgraded to iOS 10 then you probably got used to the new iMessage feature that's one of the most important additions to the new version of the mobile platform. There's already a plethora of stickers that you can use with iMessages, but there aren't too many game-related stickers that you can use to communicate with your friends and family. 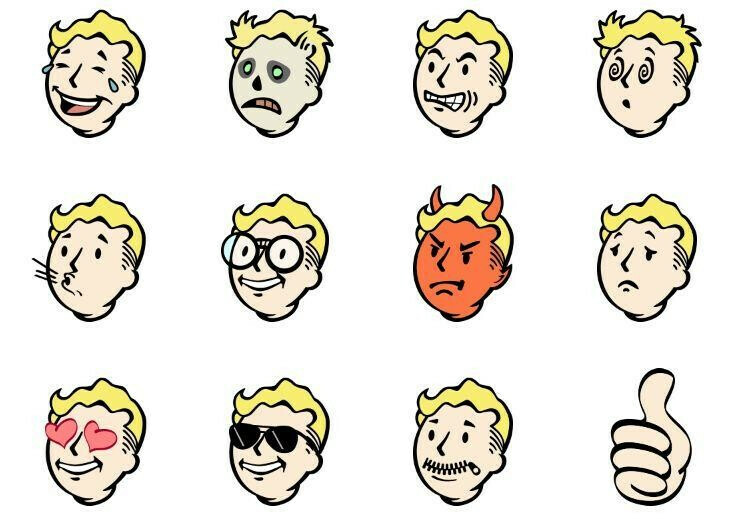 Well, Bethesda thought of that and decided to bring loads of Fallout-related stickers to iOS 10 users who can't live without the iMessage feature. In order to take advantage of the new stickers, you will have to update the Fallout Shelter game to version 1.7.2. If you don't have Bethesda's game installed on your iPhone, then you can download it for free via App Store. One installed, you will be able to place Fallout-related stickers inside your text message conversations. If they don't show up right away, you can tap on the bottom-left icon to view all sticker apps, select Store, and then head over to Manage. This way you will be able to enable any apps installed on your iPhone with sticker support. Bethesda is the second major gaming company that releases game-related stickers for iOS's iMessage feature after Nintendo launched its own Mario stickers more than a week ago. Since Nintendo and Bethesda opened the way, we expect other gaming companies to release stickers for iMessage in the coming weeks, so it's all good of iOS 10 users.